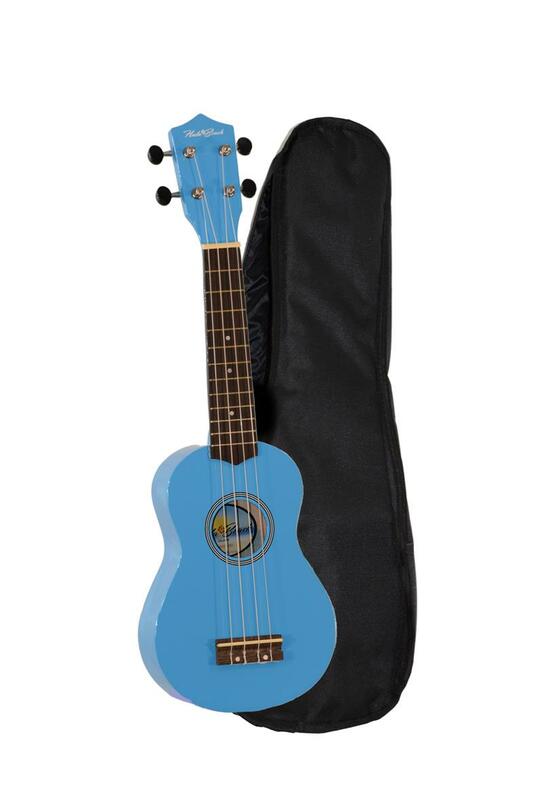 The islands are calling and the new colorful UKH15 soprano ukuleles by Hula Beach are your ticket to paradise! A basswood body beautifully finished in a rainbow of colors with a rosewood fingerboard and bridge create sweet musical sounds. 14:1 ratio geared guitar style tuners with black buttons for smooth tuning. Nine colors to choose from. Includes gig bag carry case.